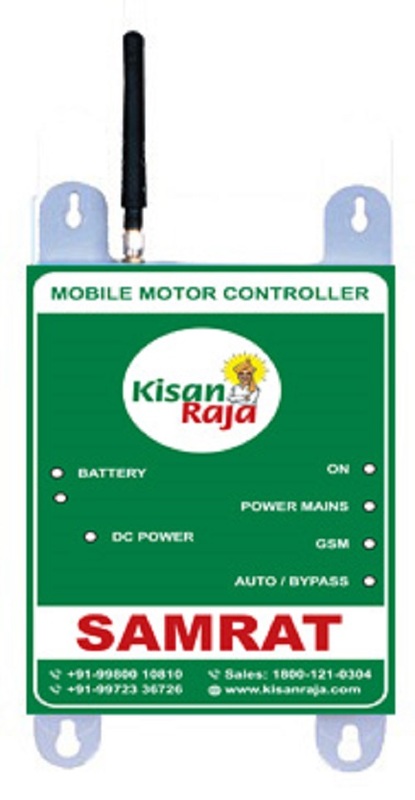 KisanRaja(www.kisanraja.com) solution allows the farmer to remotely control the agricultural motor pump using the mobile or landline. An IVRS (Interactive Voice Response System) in local language helps in making selections for switching ON or OFF. Farmers also receive voice alerts for faulty power supply, motor not starting, lack of water in the well/bore, and attempt of device/ motor theft. 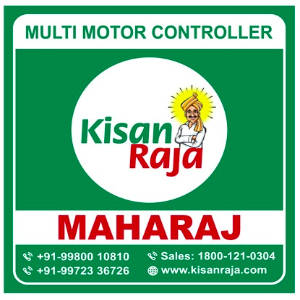 What can KisanRaja SAMRAT Mobile Motor Controller do? 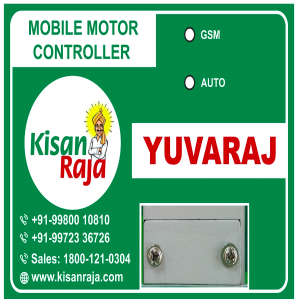 Controls the operation of the motor from a mobile or a land line phone from absolutely anywhere. 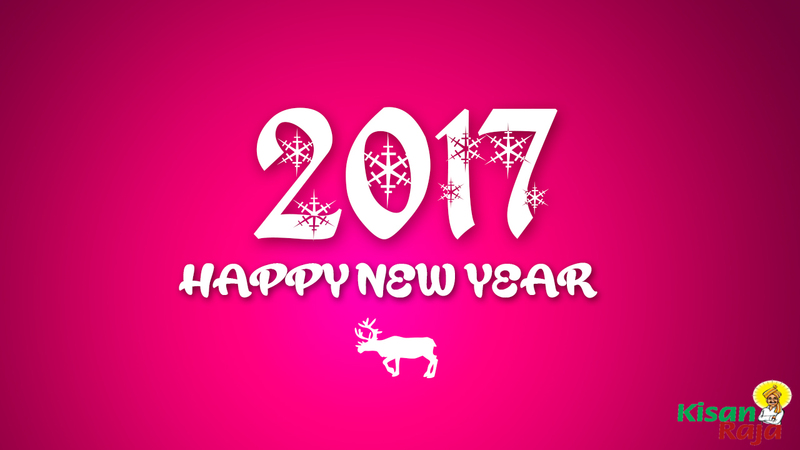 Freedom from visiting farms at odd hours or employing labor just to operate the motor. Provides flexibility to delegate operation of motor to anyone as it involves just instructing through mobile. Provides flexibility to run the motor for specific time intervals leading to savings in power bills and more importantly, conservation of ground water. Helps keep track of erratic power supply and make the most of the limited power supply in villages. Provides acknowledgment of water being pumped so that farmer is assured of the water supply to the crop. Detects voltage fluctuations and 3 phase connectivity faults before starting the motor and communicate to the farmer to prevent damage to the motor. Automatically shuts down the motor when water is not available to prevent damage to the motor. Makes you a phone call if anyone tries to steal it or any device connected to it.